This was the April-1 post for this year. Enjoy! But don’t believe. On the other hand, it is not impossible either and perhaps, one day ? The world is approaching an energy crisis. Oil is due to run out by 2040, and longer-lasting oil shales yield a low quality, heavy oil which is poorly suited to electricity generation. Gas will last only to 2090. Coal is too dirty a fuel to burn in large quantities, and nuclear energy has shown itself to be susceptible to major incidents, has a problem with spent fuel, and relies on scarce uranium resources. Renewable resources are growing rapidly in importance, but are intermittent, and require vast areas. The problem is most severe in Germany, which has no significant oil and gas of itself, but has decided to close all its nuclear facilities. To combat energy shortages, it is mining vast areas of brown coal (lignite), with major environmental consequences, including heavy pollution, very high CO2 emissions and devastated landscapes. Some of the open-cast mines are large enough to swallow a major city (Hambach covers more than 40 km2). But now a solution has been found. And it applies German geo-engineering to the control and harvesting of lava. The German federal government has just announced plans to create a lava lake in the Vulkaneifel. It will bring the magma of a local volcanic field to the surface where the heat will be used to generate green electricity. The lava lake will also draw tourists to this area. A lava lake is a long-lived, large volume of molten rock which has collected in a surface depression, normally the crater of an active volcano. Six such lakes are known in the world, at Kilauea (Hawaii), Ambrym and Yasur (Vanuatu), Erebus (Antarctica), Masaya (Nicaragua) and Nyiragongo (DR Congo). At the moment only four of these are active. A lava lake needs a constant, stable supply of lava. If the lava supply varies too much, it can either let the lake solidify (’freeze’) or destroy or drain it through volcanic eruptions, as happened in 2018 in Hawaii. The Erta Ale lava lake in Ethiopia. The German design is based on this. The Germans plans include drilling down to the depth where liquid magma resides, some 6 kilometers below the surface. The area of the Vulkaneifel has some volcanic activity, although eruptions are infrequent. The drilling will create the conduit. Horizontal drilling will now be used to release the magma pockets, using techniques from fracking. The magma will come up through the drill path (the ‘conduit’) and fill the lake at the top. The plan has been designed by Dr. Ernst Bosch, working at the Cologne Institute for Renewable Energy (CIRE). The work is being carried out by Hochtief and Schlumberger NV. 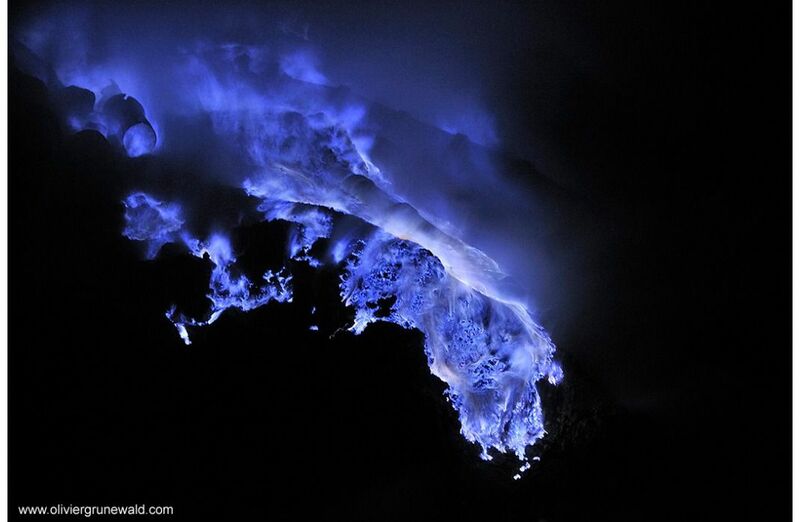 The lava lake will have a temperature of 900 degrees centigrade. The heat will be used to generate electricity: the 2 GW system will cover 3% of Germany’s electricity usage. A location has already been chosen, and work has started. It is based at the military base at Gerolstein. Gravel extraction within the restricted area has created a number of depressions, several of of which are perfect for the project. The location is close to the Nürburgring Grand Prix circuit which lies directly over the most productive magma chamber in western Europe. The horizontal fracking will reach there, 20 kilometers northeast from Gerolstein. The Gerolstein military base is on the left. The gravel extraction is 500 meters east of the main buildings. VC understands that magma fracking has already been tested for several years. This area suffers earthquakes, and the increase over the last few years in weak quakes which was caused by the testing has not been commonly noticed, and not given rise to concerns. However, it now appears that the lava lake itself has also already been tested. A satellite image of the test site clearly shows the signs of dark lava, albeit in amounts too small to remain liquid. Access to the site is currently not allowed, although reportedly a visitor centre is being build. The operations are waiting for the 2-GW power generation system to be completed. The lava will begin to flow in July, and will begin to produce electricity around November. The building costs are surprisingly limited, at 380 million euros, because it uses off-the-shelf technology developed for fracking, and the site was already owned by the government. The only remedial work needed on the existing gravel extraction site was the addition of a waterproof membrane and a thermal insulating layer. The membrane is required as gravel pits typically extend below the water table, and the lava should not get in contact with the water table. This is also standard technology used in the rehabilitation of open-cast mines. The famous German volcanologist Boris Behncke was more critical: ‘The technique will work, but have they considered the dangers of lava tourism? This part of Germany has cold winters, and lava and snow is a dangerous combination. You wouldn’t want tourists hurt by flying lava bombs.’ He also deplored the secrecy surrounding the operation. German mining corporations have given expressions of support. Open cast mines are common in Germany and can reach huge sizes. The companies normally turn them into lakes at the end of their lives but that can perpetuate a pollution problem. Filling them with lava could restore the original landscape and safely lock down any polluted materials at the bottom. One mining company suggested that the cooled lava could even be used as building material and a source of rare-earth elements, thus giving the mines a second lease of life. Other people have pointed out that the technique could also be used for the management of volcanoes at risk of erupting: by providing an open conduit before the magma rises too high, the risk of explosive eruptions can be drastically reduced. USGS has calculated that, had the technology existed at the time, it could have prevented the collapse of Mt St Helens, although not the eruption itself and the immediate area would still have been affected by lava. Once the magma reaches a depth where it becomes eruptible, it is too late for this technique and providing an open conduit would just hasten the explosion. Germany’s Green Party, the most powerful ecological party in the world, broadly supports the experiment. They stated that it provides a clean alternative to nuclear power, which they are against, but point out it is not fully carbon neutral as lava does emit some CO2. They propose to legally require the experiment to deploy carbon-capturing technology in the lava lake. Extreme eco-warrior groups have come out against the idea, stating that it uses heat from the Earth’s core which is in finite supply and therefore not a renewable resource. They argue that over-extraction will cause the core to solidify which will hasten the disappearance of the Earth’s magnetic field. Scientists deplored this view and said that the Earth’s heat would last us billions of years. The design will deliver a constant flow rate of 1 m3/s of lava. Initially, the lava will be kept in a narrow pit, in order to keep it hot. As the amount increases, it will cover a larger area of the gravel pit. The target depth is 20 meters. This amount of lava per second, at this temperature, provides 2 GW, ten times the power of all geothermal installations in Germany combined. The existing installations use ground water reservoirs, but these are less common in the areas where the German volcanoes are located. Water-driven geothermal plants are therefore mainly located in southwest Germany where the amount of ground heat is not as high. Water also operates at much lower temperatures. In compensation, water has a much higher heat capacity than lava. Overall, lava becomes four times more efficient than the same volume of water. In addition, the conversion of heat to electricity is much more efficient at higher temperatures. Systems that can operate at temperatures up to 1000 centigrade already exist. The lava lake system will use a volumetric pressurized receiver system. In this system, air is compressed to 15 bar. The hot air drives the first turbine, connected to the compressor and to a generator that produces electricity. The Air comes out still with a considerably elevated temperature. It is now directed to a heat boiler which this drives a steam-cycle process. The combined system has an efficiency of 50%. It was originally designed for solar heat collectors. Combined power generation system. Design owned by Volking Ltd. The pressurised air is heated indirectly. Tubing running through the lava lake circulates air at normal pressure (1 bar). The heat exchange with the 15-bar closed system happens in the vertical entrance pipe connecting the lava lake to the generating plant. The tubing running through the lava is an extreme heat resistant stainless steel variety, made by Norres and guaranteed up to 1100 centigrade. The tubing is calculated to last about one month. It will need to be regularly replaced, by sinking new tubing into the lava lake. Unlike conventional renewable energy plants, the system can be turned off for maintenance without wasting energy, as the heat is retained in the lava lake. Projection by Dr. Ir. Symen Stevijn and engineers of Hochtief of the future Lava Energiewerken GmbH. It is also considered to build a heat chimney, which covers the lake, collects the rising air, and forces it through a small exit window at the top where additional turbines are placed. This only adds a few per cent to the efficiency but helps direct away any excess heat. The waste heat can also be used directly to heat houses in nearby cities such as Koblenz and Bonn. Germany uses some 60 GW of electricity on average. Lava lakes could cover about 30 GW in total, based on the rate at which magma accumulates underneath the country. However, some geologists have proposed that siphoning off the magma will actually increase this rate, through enhanced supply from the astenosphere and through enhanced decompression melt. If this is shown to be feasible, it could provide all Germany’s electricity needs. VC would like to find out what our readers think of this idea, being more knowledgeable on the topic than most people or the press. What do you think? Tourists enjoying the view at the Wunderland Lavasee themepark. Should Germany proceed with this artificial lava lake? April Fools! Can you imagine how explosive it would be to bring up magma from depth up to where it can be accessed for energy? KABOOM. Hmm, i don’t know… the magma would likely need to be basaltic, but underlying reservoir is probably rhyolite… wonder if it’d work on a real lava lake? Dunno if the engineering can work in a retrofit environment with a natural lake, that’s a major reason for using an artificial lake, where the underlying topology of the lake bed bed is known and can be modified for optimal performance prior to bringing in the magma. With a natual lake, you have a very difficult time in determining what and were any structural weaknesses are at and that makes it virtually impossible to predict structural failures or to accommodate for changing (natural) magma inflow rates. Apparently the depth of the the old lava lake in halemaumau in 1912 was measured by pushing steel pipes filled with water into the lake, they found it to be 15 meters deep at that spot though it was a bay on the edge not a vent. I guess that is as close as anyone has got to putting water filled pipes into a lava lake before in real life. That likely wont work on any more active lake though, nyiragongos lake is 600 meters deep and I think if kilauea makes a new lava lake in halemaumau today it will be very similar to that, a deep basin that overflows constantly filling the caldera. All other lava lakes are tiny compared to these, meters wide and probably would solidify. The only way I can see this whole thing actually being done hypothetically with any real plausibility would be if pipes could be installed hanging hundreds of meters in mid air inside halemaumau before that inevitible future eruption happens and hope the said eruption doesnt start off with a high fountain or rifting fissure (chances are it will though, especially if there is no gas release mechanism anymore). I wouldnt bet on the pipes lasting very long though, especially not in the nearly supersonic core of a really high fountain like in 1959, it is much hotter than any lava flow, often bright yellow in colour which is well over 1200 C.
That is exactly what is already done with iron ore slag, which is basically a sort of artificial igneous rock that is like very calcium and iron rich basalt but with extremely high ‘eruption’ temperature. The slag actually really looks like lava, it even behaves exactly the same. Obviously the slag is made ultimately by burning carbon to generate the heat to push the reaction forward (reduction of iron oxide with carbon is endothermic so a lot of excess carbon is needed to keep high temperatures) so not very green though. If you ask me the best way to make an artificial lava lake would be to get 1 million tons of thermite and ignite it, 1 kg of thermite has 14 megajoules of energy in it, compared to 17 MJ for burning petrol (that is with the oxygen included as it should be) and unlike burning -CH2- which becomes all gas thermite is all dense liquids that have high melting points and a coresponding very high heat of solidus so you get way more concentrated energy. Aluminium is so mundane and innocuous to everyday life that it is easy to forget that thermodynamically it is an extremely reactive metal that has an energy density twice as high as TNT, and it reacts almost as violently with water as sodium does if its passivating oxide is inhibited (Ga-Al alloy personal experience…). ‘Bright yellow’ would actually be around 6000 degrees. I you want to assign temperature by colour. Astronauts have their helmet glass gold bronze toned to avoid the suns intense glare. When I was in Hawaii the sun was very bright and intense and I had spend short times in the sun to safely build up my tann. But I knows you are talking in an other way when it comes to colour and temperature correct? Bright yellow is about 1200 C. The core of big lava fountains is actually a bright yellow colour that is not easily visible because of the surroundings but it is much hotter than a typical lava flow which is around 1100 C to 1000 C for big a’a flows that usually erupt from such high fountains. In the 1980s it was common to place copper wire over the lava spillway on early pu’u o’o between eruptive phases and run a current through it and when that current was broken it sounded an alarm. The current was broken by the lava melting the wire, so it was hot enough to do this, and while the melting point of copper is 1075 C it loses heat to its surroundings easily and in practice it will often not melt until the surrounding temperature is well over 1200 C. The lava in 1959-1960 and in halemaumau lava lake in 2018 was known to be hotter than lava erupted at pu’u o’o, and the stuff erupting out of fissure 8 was the same as what was in the lava lake except not degassed. Luckly everyone was outside and happened during weekend. The whole school watched the inferno. The heat was so intense that none coud not be anywhere near it. Everything had burned out and brick walls and wash basins melted ( melted on the surface ) and glass windows liquifyed. Large iron beams warped. My friends classroom was nothing left. The schools computer room was just a liquifyed mess of metals that freezed. The whole mess was later demolished by the state. The firestorm also wiped out the colony of ants in the school that been rage for years. Melted wash basins, liquifyed computers, and window glass that flowed down. I now understands why its so hard to identify fire victims in buildings..
Absoutley fercious and very scary too. Y’all can argue color all you want, but as Albert points out, the human eye is horrible as a color determination instrument. It was designed specifically to give the user a functional visual response under wide ranging conditions and will adapt to whatever light input that it has available. 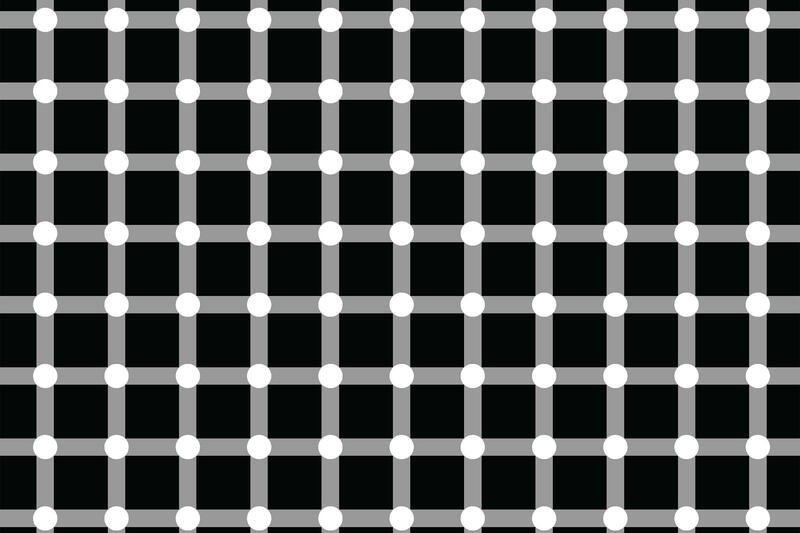 That’s one of the reasons that some optical illusions work. As for the spectral response of he human eye, it varies based on the sensitivity of your color receptors. Add to that that the emitted light is of varying intensity depending on the spectra. For the purposes here, the Black body radiation curve is appropriate and the dominant actual spectra depends on the heat. The plot above, denoting color and temperature, is likely more valid for a blacksmith working a piece of metal. All fires on earth are red in colour. That is based on black body emission. Look at the sun (actually, don’t). It is yellow, and it has that temperature. The reason fires on earth may appear white hot is that you eye receptors saturate, so you don’t see the accurate colour. Use a spectrograph and you will see almost all energy comes out in the red/infrared. So in your case, it would be better not to say that ‘the lava is yellow’ but ‘it looks yellow’ as you see what your eye lets you. That is a technicality, and is not really important for what I am talking about anyway. It is NOT a technicality. Simply put you two do not have a clue what you are talking about when it comes to the colour of radiative heat sources. For radiative heat sources it is the black body curve that defines the wavelength profile of the emissions. The colour of the black body emitter is defined by Wien’s law. That is the quantitative, definitive measure of colour, not some qualitative guess based on the human eye. Please take the time to actually learn the physics of the situation involved before claiming others are wrong to quote that physics. I DO know what black body radiation is, and it is not the important part of what I was talking about. For the visual appearance of lava, the table I used is perfectly good, and cameras are adjusted to see things as close to the way we do as possible in most cases which means nearly all the videos of kilaueas eruption last year, or any eruption in the last 10 years for that matter, are a lot better to be graded on the chart I used than one designed to work by black body radiation that really only works practically with stars. To our eyes, an object that is 1200 C, whether it is a piece of steel being forged into a knife or the core of a lava fountain in hawaii, is going to look somewhere between yellow and white. A star that temperature (a young brown dwarf maybe if those are actually considered stars as opposed to really big planets) would be a very dull red in blackbody and not make much visible light at all, but would still look very visually bright to us, like looking at a hot fire or a lava flow or hot piece of metal. Any main sequence star will be blindingly bright to our own eyes or to a camera. Red dwarfs are 3000 C, hence red by star standards, but an oxyacetylene torch is also 3000 C and it is not red if you look at it (wont blind you but not a good idea), blackbody and visual incandescence are closely related and describe the same principle, but they arent the same. There is also no need to be personal when making a rebuttal either, all that does is turn a debate into a fight and that is really not necessary at all for anyone involved especially over something so minor. Let’s be nice (first rule), and not presuppose lack of knowledge (second rule). To a physicist, colour and temperature are very important concepts, based on black body radiation. Flame chemistry adds all kinds of things (fireworks are a good case in point of the disconnect between colour and temperature). Flames are not black bodies – few objects are. Candle flame looks yellow but is not the same temperature as yellow lava. The scale that was given in the comment is valid for one particular application. But it should not be generalized: it should be claibrated for every substance. And finally, in astronomy we distinguish the effective temperature (the ‘real’ temperature) from the colour temperature (what you would derived from the visual colour). The two can be very different. Th colour temperature of lava may perhaps be 6000 K (if it looks yellow) but the effective temperature (how much it radiates) will be very much lower. The two should not be confused. Erm no. Take a look at the constellation of Orion when it is next in a clear night sky over you. Take a look at Rigel and Betelgeuse. Rigel has a colour temperature of 12,100 K. Betelgeuse has a colour temperature of 3,590 K. That means that the photosphere of Betelgeuse is way over 1,200 Celcius. What colour does Betelgeuse appear? Distinctly red, even with the naked eye. Ditto the star Aldebaran next door in the constellation of Taurus. What colour does Rigel appear? White or blue. To our eyes, when their sensitivity is not overwhelmed, incandescent, radiating objects look to be the black body colour temperature they are supposed to be. So like I said you don’t know what you’re talking about. You are conflating a qualitative, guess-based system with a quantitative, measurement-based system. The apparent colour of something incandescently radiating can indeed be useful for people like blacksmiths. It should not be used as a substitute for, or confused with the black body temperature. At the other end of the scale we have monochromatic vision: too few photons to excite the cones, so only the rods contribute the vision. As Albert says we then have the complication of flame chemistry. That sort of general phenomenon shows up in street lighting very nicely. Low pressure sodium lights are orange in their colour because of a duplet of lines emitted around 589 nm. All of the group one and group two metals have their own distinct flame colour due to emission lines. High pressure sodium lights emit a more white-seeming light due to pressure broadening of the lines (at least in part). The same phenomenon is seen in the characteristic colour of noble gas lights (neon, krypton, xenon etc). In the case of the flame colour it’s thermal energy exciting electrons which then emit light as they drop down in energy. In the case of noble gas lights it’s electrical energy exciting electrons which then emit light as they drop down in energy. The difference between combustion and incandescence must be borne in mind. Lava is not combusting, it is incandescent. Objects caught in a lava flow on the other hand combust. Another thing that must be considered is things like the colour of aurorae. That’s due to energetic particles from cosmic rays and the solar wind hitting atoms and molecules in the atmosphere. Again electrons are excited by the hit and as they drop in energy they emit characteristic colours (red and green from oxygen, which is altitude-dependent and blue from nitrogen). Same phenomenon as observed in emission nebulae. Colour and temperature are both linked and dissociated, depending on the phenomenon being discussed. For incandescent objects such as stars, lava and certain types of light bulb they are very, very much linked. For combusting or fluorescing or phosphorescing objects colour and temperature are dissociated. After all when you think about the atomic definition of temperature that makes sense. On an atomic scale temperature is defined by the amount of kinetic energy atoms and molecules have. 0.5*m*v^2. When it comes to molecules and their extra degrees of freedom there can even be the concepts of translational temperature, rotational temperature and vibrational temperature. In other words how fast something is moving, how fast it is rotating and how fast parts of it are vibrating with its various fundamental modes of vibration. You said it yourself, incandescent. That is the important word. And for the final time no nothing in this discussion about blackbody radiation is important no matter how technically correct it is. If you are near anything that is 1200 C it will look yellow white to our eyes and those last 3 words are the most important words in this entire ‘discussion’ and the ones you shoukd be thinking about before accusing me of not knowing anything. That graph I found is a VISUAL incandescence graph not an incorrectly made blackbody graph, you accuse me of not knowing anything about anything I am talking about yet you yourself dont see that you are arguing a point that is completely beyond what I was talking about and has literally 0% to do with what I was talking about in the comment at the top. I say fissure 8 lava was about 1200 C and show the graph i found on the wikipedia page of incandescence. Albert says ***technically** yellow hot things are 5800 C like the sun, which is true but not my original point, then the next thing I know you accuse me of not knowing anything at all and then going on every branch of that tangent you could find to prove it when that wasnt what I was talking about in the first place and never claimed that I was either. And then making it personal is just going too far, this is a discussion site about general knowledge if you want a place where you can fight with people over the internet I would suggest a place like 4Chan but you might get in trouble with the law there so better not. Guys (and galls) BE NICE or you will get a telling-off. And no excuses of ‘but he did it first’. I can see a post coming on the colour of lava. Both of you, you are taking far too simplistic approach. Lava is not a blackbody. It is modified with a wavelength dependent absorption coefficient. But neither is all lava the same. Basaltic lavas are intrinsically dark, and have a spectrum strongly shifted to the red compared to a blackbody. Rhyolite is white even when cold. Not even all basalts are the same. Here are two with different spectra, just because of a slightly different composition. Bottom line: the relation between colour and temperature is not universal. The relation between colour temperature and actual temperature needs calibrating for every lava. If you want to derive temperatures accurate to 10-20 C (which is what this appears to be about), you’ll need a thermometer, not a camera. M Red Dwarfs are 2900 C to 3800 C but for our eyes if we where close to them they woud be blidning white hot. Astronomicaly they are dim and red. Is this for clay only? A red dwarf would probably look red to our eyes even from close up (not that I recommend it). And an incandescent light bulb gets twice as hot as the kiln, and still only produces a reddish light. While the wires in in a toaster glow red at 400-500 C (from hearsay – I have not checked this myself!). Men, the problem of *temperature color* and *black body emission* is very complicated indeed ! Have a simple look on Wikipedia at these lemmas and you realize the situtuation is rather complex, and deserves at least a couple university courses to be mastered for gaining confidence. Anyway a thing cannot be discussed : near enough a star, whatever its temperature, you surely get *roasted* !!! I dont want to have anything else to do with it now so can someone with powers just close this comment chain please. You are right, this has gone on for long enough and has become far too personal and accusative. In defence, everyone learned from this discussion. Stefano is also right that the topic is far from simple. But further comments in this thread will be handed to the resident deamon and put in the dungeon. Yes. But the heat -resistant pipes proposed in the post do exist and can be bought. I expect though that they will break down over time due to ‘accidents’ or impurities, so I proposed a fairly rapid replacement cycle. They may survive german lava, they are not designed for it. Surely this is an April fool’s day joke? A post utterly appropriate for today. Forward thinking and typically dynamic. …..especially the part about nueclear energy (sorry, I know, no ideologies here). Might be an opportunity to set up a Bed and Breccia nearby. A lava lake can only exist beacuse of many very special factors. You needs hot and fluid lavas that can allow that convection. A very very constant magma supply where magma is feed all the time. Mount Erebus in Antartica is the only lava lake with a fairly high viscosity, its a anorthoclase phonolite with a viscosity thats a 100 times higher than the basaltic lakes of Hawaii and Etiophia. The germans are well known for their engineering. I am pretty sure they can handle this just as good as they are handling the “Energiewende”. and what’s the date today? But Eifel Volcanic Field haves a very small supply and defetivly woud struggle to maintain lava lakes. Is it an April’s Fool post ??? In other news released this week consider this new development which the likes of Bill Gates are now invested in. This will be a huge game changer in the eco front if they can make it work on a large scale and I think it is entirely possible. Basically it means that in the near future the climate can be controlled and many of the new green technologies unnecessary and too costly. Good by windmill farms, solar farms and unhelpful eco idiots spouting their religion and costing the taxpayers trillions. It started shortly after the M3.3. 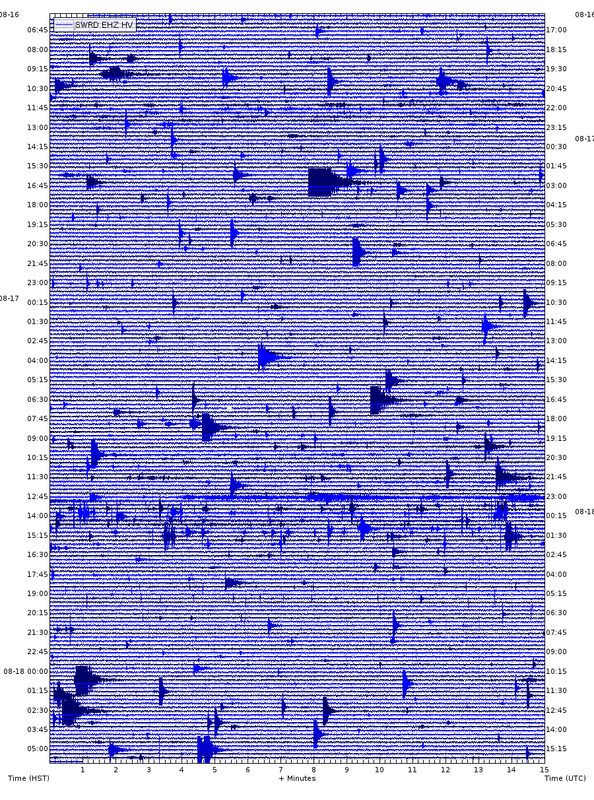 Nothing showing up in the tiltmeters though, and seismicity has overall been low over the past weeks. I looked at the dip in the deformation data around Sept of 18 and thought it might be a ” normal ” dip. I do think that the deep swarm was one of the more impressive we have seen. Check it several times a day along with Volcano Cafe! Lacheer See event is often blamed on postglacial rebound and decompression and uplift on the Eifel Plume Arera increasing partial melting. Happened just after the Ice Age. Thats was a 6 to 10 km3 gas rich phonolite plinian event with large pyroclastic flows and extensive ashfall. A large wave caused by a glacier calving – the natural process where a large section of ice breaks away – has been caught on camera in Iceland. Very much like Volcano House. For a moment I really believed on this and thought the Germans must be either crazy (knowing how careful Germans are, this is quite unlikely!) or daring. But I wouldn’t expect that from the Germans either. I could imagine this in Iceland yes. And actually it could work. A controlled eruption to use its power to heat steam engines. Why not? Krafla was drilled on the seventies and actually lava came out to the surface making a man-made small eruption. So it’s possible. Though that happened whilst magma was already by the surface during the regular eruptions of the seventies there. Thank you. Needed a lift. Have spent most of day in bed after my slowly easing chest infection relapsed hard. FWIW, back-story of my WIRS tales posits something similar. Parallel-world ‘Atlanteans’ frack their weakening ‘thermal tap’ in equivalent of Eifel field circa our Early Bronze Age. Oops, goes large. Site, area then region vanishes beneath ‘Flood Basalt’. Much of continent despoiled by ash and vog. Some survivors flee to parallel worlds, their arcane alt-tech spawning tales of demi-gods, angels etc. Possibly bootstrapped the Minoan glories. The poll gave about 100 responses. ‘Yes absolutely’ was far ahead and ‘yes but’ came second, ‘no but’ third and ‘no’ obtained 5%. Some ‘dont knows’ as well. New post is up. There is a branch of the Sahara in Scotland, and somehow there is a volcanic connection. And it is no longer April 1, so it has to be true. 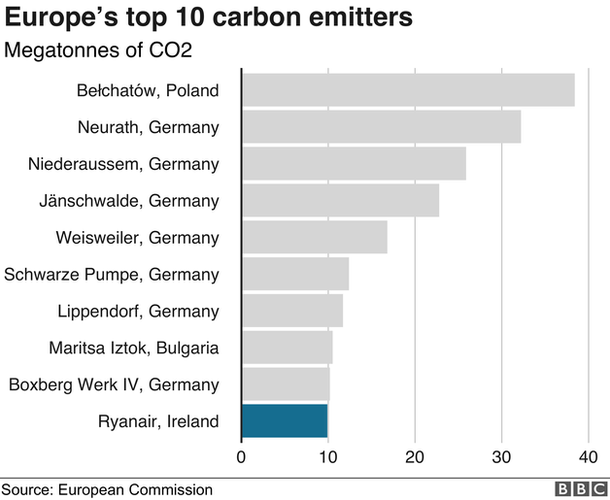 And an interesting addendum: the top european CO2 producers. The first 9 are lignite plants! Would the CO2 output of a Vulkaneifel Lava lake outweigh the CO2 output of lignite plants? No. It has much less volume and much less of the volume is carbon. No competition. A volcano like Etna and Kilauea relase far more co2 than Wunderland Lavasee themepark. We also did it in 1/1000 the time so the earth hasnt caught up yet… If we stop now things will still be bad but will only get much worse if we keep going and happen faster with less time to adapt.